After months of hard work the moment is finally there, the release of our new book: vSphere 5.0 Clustering Technical Deepdive! When we started working, or better said, planning an update of the book we never realized the amount of work required. Be aware that this is not a minor update. This book covers HA (full rewrite as HA has been rewritten for 5.0), DRS (mostly rewritten to focus on resource management) and Storage DRS (new!). Besides these three major pillars we also decided to add what we call supporting deepdives. The supporting deepdives added are: vMotion, Storage vMotion, Storage I/O Control and EVC. This resulted in roughly 50% more content (totaling 348 pages) than the previous book, also worth noting that every single diagram has been recreated and are they cool or what? Before I will give you the full details I want to thanks a couple of people who have helped us tremendously and without whom this publication would not have been possible. First of all I would like to thank my co-author Frank “Mr Visio” Denneman for all his hard work. Frank and I would also like to thank our VMware management team for supporting us on this project. Doug “VEEAM” Hazelman thanks for writing the foreword! A special thanks goes out to our technical reviewers and editors: Doug Baer, Keith Farkas and Elisha Ziskind (HA Engineering), Anne Holler, Irfan Ahmad and Rajesekar Shanmugam (DRS and SDRS Engineering), Puneet Zaroo (VMkernel scheduling), Ali Mashtizadeh and Gabriel Tarasuk-Levin (vMotion and Storage vMotion Engineering), Doug Fawley and Divya Ranganathan (EVC Engineering). Thanks for keeping us honest and contributing to this book. As promised in the multiple discussions we had around our 4.1 HA/DRS book we wanted to make sure to offer multiple options straight away. While Frank finalized the printed copy I worked on formatting the ebook. Besides the black&white printed version we are also offering a full color version of the book and a Kindle version. The black&white sells for $ 29.95, the full color for $ 49.95 and the Kindle for an ultra cheap price: $ 9.95. Needless to say that we recommend the Kindle version. It is cheap, full color and portable or should we say virtual… who doesn’t love virtual? On a sidenote, we weren’t planning on doing a black and white release but due to the extremely high production costs of the full color print we decided to offer it as an extra service. Before I give the full description here are the direct links to where you can buy the book. (Please note that Amazon hasn’t listed our book yet, seems like an indexing issue, should be resolved soon hopefully For those who cannot wait to order the printed copy check-out Createspace or Comcol. For the EMEA folks comcol.nl offered to distribute it again, paper black & white can be found here, and full color here. 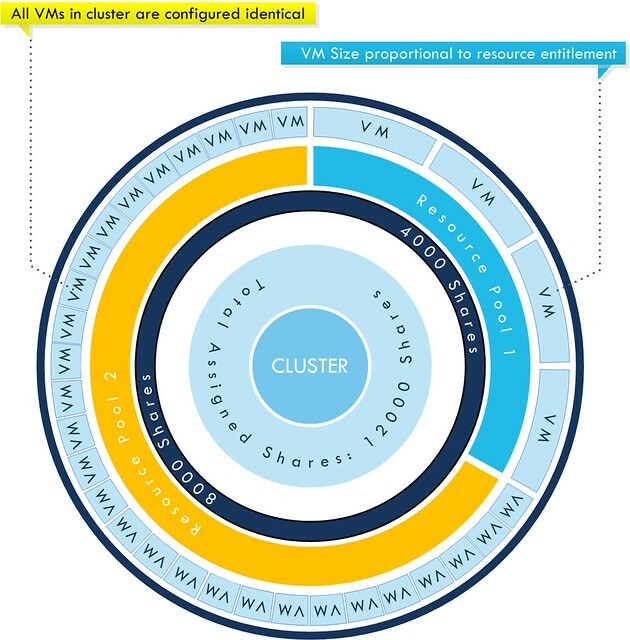 VMware vSphere 5.0 Clustering Technical Deepdive zooms in on three key components of every VMware based infrastructure and is by no means a “how to” guide. It covers the basic steps needed to create a vSphere HA and DRS cluster and to implement Storage DRS. Even more important, it explains the concepts and mechanisms behind HA, DRS and Storage DRS which will enable you to make well educated decisions. This book will take you in to the trenches of HA, DRS and Storage DRS and will give you the tools to understand and implement e.g. HA admission control policies, DRS resource pools, Datastore Clusters and resource allocation settings. On top of that each section contains basic design principles that can be used for designing, implementing or improving VMware infrastructures and fundamental supporting features like vMotion, Storage I/O Control and much more are described in detail for the very first time. Be prepared to dive deep! Pick it up, leave a comment and of course feel free to make those great mugshots again and ping them over via Facebook or our Twitter accounts! For those looking to buy in bulk (> 20) contact clusteringdeepdive@gmail.com. Purchased the Kindle version today. Can’t wait to deepdive with you guys. Hi Duncan. Will this book be released on the Apple iBookstore? For now only Kindle or Paper. Thanks for the reply. I bought the Kindle version. Saw your comment about the formatting issue for iBooks, I will pick up that version as well once it is out. Nice. Bought the kindle edition seconds ago. Congrats! Just bought the full color. Can’t wait. Please provide it in iBooks! I am always so surprised with your productivity, Duncan. Just bought it. This is your second book in my colllection. thanks! If I order from Createspace where will it get shipped from? I am in New York. I am not sure where it will ship from. Ok, was just if it was coming from outside of the US. Amazon still doesn’t have the paper format listed yet. Are there any plans to release a Nook version of this book? Thanks for writing this! Can’t wait to read the eBook version on the Kindle! I got the Kindle version now because I could not wait, and I got the print version in color just because I can : ) and it’s the right thing to do. This book was my first Kindle book for the iPad. Already reading and it’s hot stuff. Duncan, you can Frank are some bad assess bro, good job kee up the good work. Thanks to Duncan and Frank for make this available in Kindle. Congrats and thank you. I will be ordering my copy in the next few minutes. Though I will still get the kindle version, I just want you to know that I will not shy away from purchasing the iBook version as well if you make that available in the future. So please add my vote for iBook as well if you are keeping a count. I will not complain even if I have to repurchase it. Once again thank you so much for making this available at the perfect time.. Thanks, if we can fix the formatting issues with the iBook version we will release it. Problem is that currently the book looks scrambled and we do not want to release it in this form as that would lead to complaints. I hope it is as good as the last book. Another informative and highly readable book Duncan. Nice work by both yourself and Frank. Look forward to reading my Kindle version. props for the prise of the Kindle version. I went to Amazon and got my copy downloaded right away after I saw this post! Thanks for the effort in putting this 2nd book together. I liked your first book on vSPhere 4.1 HA and DRS. Any chance at getting a kobo version? If I can find the time to sort the formatting issues out yes, but I wouldn’t count on it for now. Any chance the printed full colour is coming to Europe anytime soon? I look forward to the read as I enjoyed the previous Volume. How about a nook version? As mentioned above, only kindle for now. Need to read couple of times to get it digested, I can imagine how much time you’d have spent on making this ‘Master Piece’. Is the colour version of the book still available from anywhere? I have downloaded the kindle version, but for techincal material I still prefer having a physical book. I know the ack and white version is on Amazon, so will buy that if the colour is not available. Great job on the book. I purchased it from Amazon and its really helped me out alot. Quick question though. Is there somewhere i can find a very simple explanation of resource pools. the main thing I need to know is if it is possible for one virtual machine to use more resources than you allocate to it. Depends on what you mean with “allocate”. Yes a VM can consume more then reserved. No a VM cannot consume more then its limit. The resource management guide has got some more simplified explanations. Thanks. Im about to look in the resource guide now. Sorry about the mix up in terminology. I was meaning to ask if we have a Resource Pool setup with the Default settings which are Normal Shares for both CPU and Memory and the unlimited box checked, does this mean that a VM can use an unlimited amount of the server resources. I haven’t had any issues with this configuration but we are about to virtualize alot of SQL Servers and our DBAs are a little worried.